I may be 'unknown'. But I am definitely not 'unavailable'. Please feel free to mail me on unknownmentalist1@gmail.com for any discussion, clarification, suggestion, contention or appreciation. I will be happy to help. Richard Osterlind on Unknown Mentalist: "I really enjoy the way he thinks. I always look forward to seeing his latest creations and the clever originality he puts into them. His work shows his love of mentalism and his capacity for thinking outside the boundaries." Marc Salem on Unknown Mentalist: "The unknown mentalist may be unknown, but he has plenty to say, and all of it is good...inspired. He should, and deserves to be known. No doubt in my mind, this man is a genius. Virtually everything he produces is impossible. I am in awe of his attention to detail and proliferation of useful thought." 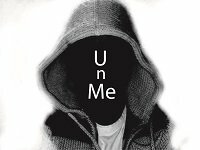 Paul Romhany on Unknown Mentalist: "I am becoming a huge fan of the Unknown Mentalist as he is creating some really practical and clever products. He is a great example of a working performer and a great thinker." Chris Wasshuber in Lybrary newsletter #705 dated 01/14/2016. (Talking about highlights of year 2015): "And this was the start to an incredible successful introduction of a new author at Lybrary.com. The Unknown Mentalist is still the overall #1 hot author on Lybrary.com. He achieved this in a few months with some pretty incredible publications all starting with his exceptional Karma Deck ." Most probably you have never ever seen such a mystical calendar. It looks ordinary but enables you to perform an extraordinary routine. Let me present probably the world's first Psycalendar . What you get is a set of 10 specially printed gimmicks which will be shipped to you. The pdf can be downloaded instantly. Future Test is a 'packs small plays big' kind of effect. Actually packs very small in your wallet and plays very big to a full room. This effect is done on the back of your business card which you can later leave with the participant as a memorable and unique souvenir. This is a two person telepathy act. The Telesthesia Code is simple and easy yet undetectable. You and your assistant (or partner or spouse etc) can learn this code in under 5 minutes. There are absolutely no words that need to be spoken nor any body signals required. You and your assistant do not even face each other and there is no eye contact. And yet, you can seemingly relay thoughts to your assistant. This method is ideal for close up situations and with a bit of audience management can easily be adapted to a parlor situation too. Pocket and Parlor Act is a convenient bundle of the above listed products at a combo price. These products can always be in your pocket or wallet and can be used for doing a mini act of 7 to 10 minutes in either a one on one situation or close up situation or a parlor act for a small group of people or even for street magic. The effects in this combo have varied themes and can form a colorful little act of great impact when performed together. If you already have these individual products, well and good. If not you can pick up this bundle. [Note: The PDF includes both the original Reincarnation ebook as well as the new #2 edition. If you already bought the original version you do not need to purchase this version. Go to your digital shelf and simply download the new PDF. There would hardly be any mentalist or magician who would not be familiar with the old and well known 1089 force. At the same time, there would also hardly be any mentalist or magician who still uses this force in the old standard manner. In that sense this force seems dated. But throughout the history of magic, this unique force has been extremely fascinating both mathematically and magically. This includes physical gimmicks which will be shipped to you. The pdf can be instantly downloaded from your digital shelf. IGG - According to Wikipedia "This is the most common type of antibody found in humans. It protects the body from infection." IGG - Here this means "Instant Gig Getter". It insulates your performance from potential spectator disinterest. It also 'infects' your participant with absolute amazement. IGG is an instant killer. You could ideally do this for someone from whom you may be soliciting a gig - an agent or a VIP client etc. Optic Deck is an optical/visual memorized deck. You 'see' a number 1-52 in your mind's eye and you 'optically' or visually know what card is at that number. Similarly you 'see' any card in your mind's eye and you again 'optically' know what position the card is at. The stack looks very random, the suits look random, there is no red/black alternating pattern and even after reasonable scrutiny it would be almost impossible to spot a sequence, because there is none. Even magicians after being told that there is a stack involved will find it extremely difficult to spot the stack. This includes physical product, a poker size gimmick, which will be shipped to you. The PDF can be instantly downloaded from your digital shelf. True, there are many star sign divination methods on the market. But very few exact birthday divinations. There are quite a few by this same author like Happy Birthday Stranger , Zodiak Gods , Birthday Calendar , Elemental , Elemental 2 , Signature , Star Signature etc.